A podcast about all things Macintosh. For Mac geeks, by Mac geeks. Episode 163. Apple’s new iOS 7 brought with it not only a band new look, but also hundreds of new features. I’ve spent the last few weeks pouring over the new OS and gathering information from sites and blogs to bring you an exhaustive guide of some of the coolest tips and trick for iOS 7. A podcast about all things Macintosh. For Mac geeks, by Mac geeks. 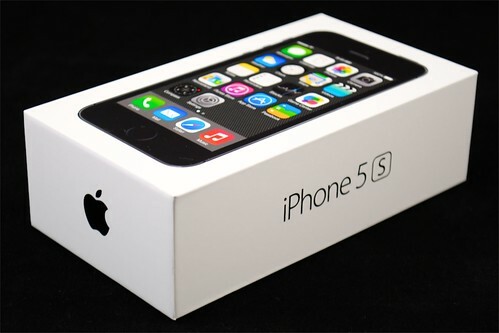 Episode 462. iPhone 5s and iPhone 5c are here. iPhone and iOS security concerns. Apple TV 6.0 out, then pulled, now back. Rumors for next Apple event in October. Download legacy versions of Apps. StraightTalk also uses T-Mobile. Launch Day experiences with Don McAllister (Screencasts Online) and George Starcher. My few days with the iPhone 5s. iTunes 11.1, Podcasts, and the Podcast app. A podcast about all things Macintosh. For Mac geeks, by Mac geeks. Show 461. Apple September 2013 iPhone Event. iOS 7. iPhone 5c. iPhone 5s. Other iPhone 5s and 5c stuff we know. Carrier and data plan details. OS X 10.8.5 update. More iOS car advice. Omni discontinued out of App Store upgrades. Don’t upgrade to 1080 if you can’t view it. A talk about wireless disks. Encoded video is upside down. A podcast about all things Macintosh. For Mac geeks, by Mac geeks. Episode 162. Apple held it’s September 2013 live event to announce the new iPhone 5c and iPhone 5s. I weigh in with my first thoughts on the event and Apple’s latest devices. A podcast about all things Macintosh. For Mac geeks, by Mac geeks. Episode 460. Clayton Morris, co-host of Fox & Friends Weekend on Fox News Channel, Apple fan, technology reporter, and App developer joins me to talk about Apple’s September 10th Event, iOS 7, and what’s next for Apple. We also discuss the process Clayton went trough to take his App, ReadQuick, from idea from start to finish. They just launched the iPhone version and has lots of insights to share.